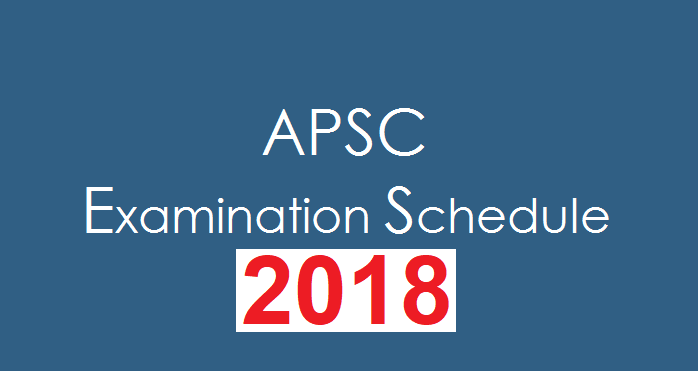 Assam Public Service Commission (APSC) has recently released the updated Tentative Schedule of examinations/viva-voce interviews for the year, 2018 for various recruitment examinations. 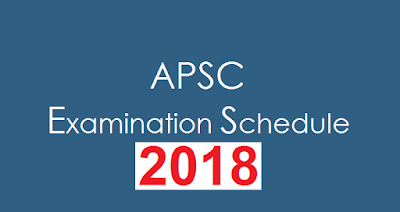 These recruitment tests and examinations including Viva will be conducted by the APSC throughout the year for various posts lying vacant in different Departments of Government of Assam. As per the said schedule, Combined Competitive Examination (vivavoce/ interview), 2016 is supposed to be held on 22nd, 23rd, 25th, 26th, 27th, 29th, 30th, 31st, Oct/2018 and 1st, 2nd, 3rd, 5th, 8th, 9th, 10th Nov/2018. Similarly Combined Competitive Examination(Prelims), 2018 is proposed to be held on 24th November 2018.